*Final listed does not include a $115 Documentation fee. Price listed does not include, tax, $35 electronic filing fee for titling (custom plates do not apply), license, registration or state emission fees. Kendall Discount is the dealer’s discount from the price of the vehicle before rebates. Price Before Rebates is the price of the vehicle before the Manufacture rebates that apply to everyone. While every reasonable effort is made to ensure the accuracy of the vehicle description displayed on this page, dealer makes no warranties, express or implied, with regard to the vehicle or vehicle description. Please verify all vehicle information before entering into a purchase agreement. If the vehicle being purchased is to be financed, the annual percentage rate may be negotiated with the dealer. The dealer may receive a fee or other compensation for processing or arranging financing for the sale. Call or email for complete, specific vehicle information. Manufacturer Rebates are subject to change and may depend on location of buyer’s residence. * Final listed does not include a $115 Documentation fee. Price listed does not include, tax, $35 electronic filing fee for titling (custom plates do not apply), license, registration or state emission fees. Kendall Discount is the dealer’s discount from the price of the vehicle before rebates. Price Before Rebates is the price of the vehicle before the Manufacture rebates that apply to everyone. While every reasonable effort is made to ensure the accuracy of the vehicle description displayed on this page, dealer makes no warranties, express or implied, with regard to the vehicle or vehicle description. Please verify all vehicle information before entering into a purchase agreement. If the vehicle being purchased is to be financed, the annual percentage rate may be negotiated with the dealer. The dealer may receive a fee or other compensation for processing or arranging financing for the sale. Call or email for complete, specific vehicle information. Manufacturer Rebates are subject to change and may depend on location of buyer’s residence. 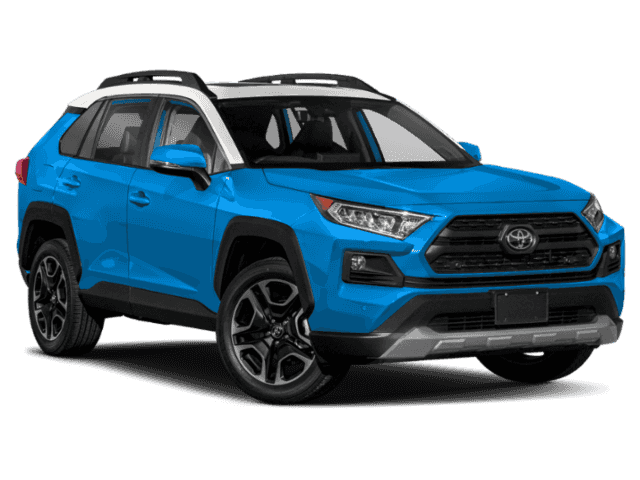 Kendall Toyota of Bend is excited to offer this 2019 Toyota RAV4. 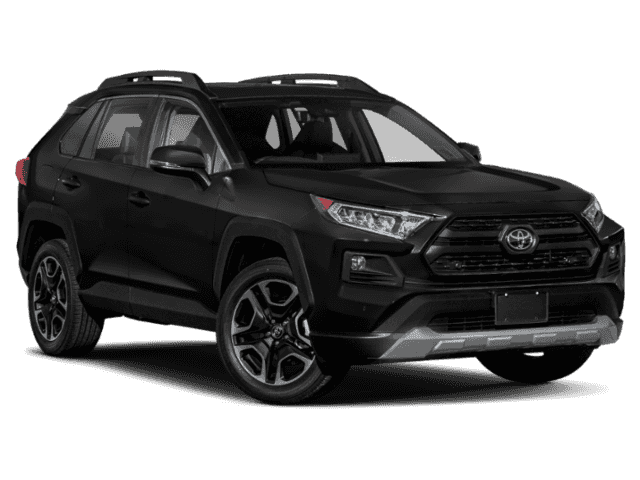 This Toyota includes: MUDGUARDS (PPO) TWO-TONE PAINT APPLICATION 50 STATE EMISSIONS *Note - For third party subscriptions or services, please contact the dealer for more information. * Want more room? Want more style? This Toyota RAV4 is the vehicle for you. This AWD-equipped vehicle handles well in any weather condition or terrain. You'll benefit from superb handling, improved steering and excellent acceleration. 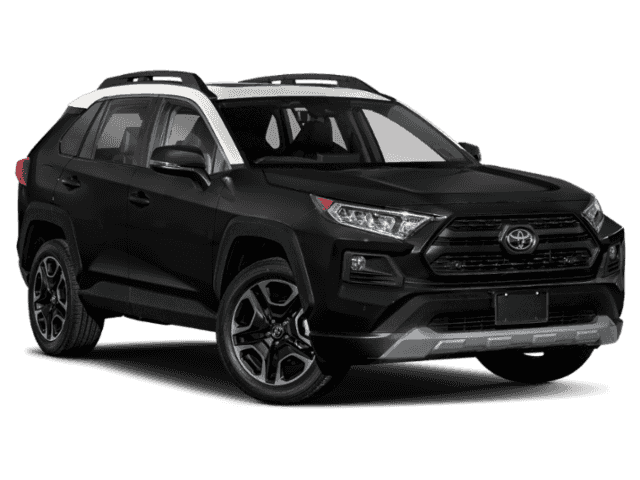 Based on the superb condition of this vehicle, along with the options and color, this Toyota RAV4 Adventure is sure to sell fast. 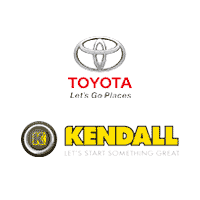 Our mission at Kendall Toyota of Bend is simple: To deliver an unrivaled customer experience. Through our highly motivated, knowledgeable, and caring team of professionals, we pledge to listen and respect your needs. Doing the right thing means more than selling and servicing vehicles. Our progressive attitude means being exceptional stewards of the communities we operate, as well as the environment. It means going above and beyond every day for the people who mean so much to us, our customers. 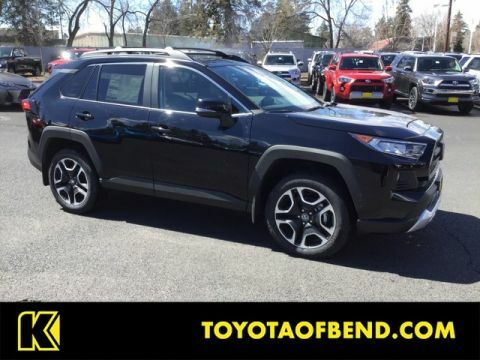 Kendall Toyota of Bend	44.0306732, -121.3085351.